According to the latest research, gossip has the ability of not only changing the way we think about a person but the way we see her. It can make people see each other as uglier. The Science journal recently published a research done by professor Lisa Feldman Barrett and her team at Northeastern University. The study was looking to see if there is any connection between what we hear about a person and the way we see her. There were made two experiments. The participants were presented a set of photos paired with some gossip information about the people in the photos. They saw neutral faces that were paired with positive gossip, neutral gossip and negative gossip. So the people made an impression about the characters in the photos. In the second experiment, the participants were presented the same photos as in the first experiment, but paired with some unrelated images, like for example a house. What the scientists have observed is that the people in the photos that were associated with the negative gossip were seen more consciously, than those previously paired with positive or neutral gossip, or completely novel faces. 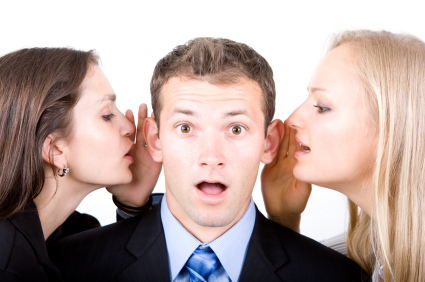 It is decided: the gossip has a visual impact on the people we gossip about. The results of the experiments show that, in addition to the changes on the way we think about a person whom we’ve heard bad rumours about, we also see him/ her with differen, visually. This proves the little amount of meaning our external sense bring. It is known that people perceive reality through their senses. But with this discovery, there is one other aspect that is highlightened: not only we perceive it through our own senses, but we perceive through the meanings that we give to what we perceive. In other words, if we see the face of a person we don’t know, we might make an opinion on her aspect. Let’s say it is a neutral one, as the person is a woman, about 50 years old. She is not ugly, but she is not beautiful. If then we find out that her name is Patty and has a lve child with Hollywood star and former California governor Arnold Schwarzenegger, (and she is also the reason Arnold got dumped by his wife after 25 years of marriage) suddenly she is probaby going to look a lot uglier. Angel Libby is one of our top authors for the entertainment and movies sections.She is very passionate when it comes to writing about the latest premieres and movie reviews.You can contact Angel by dropping her an e-mail at Angel.Libby@dailygossip.org.